The Kentucky Horse Park has announced a partnership with Visit Horse Country, the premier resource for equine-related tours in Kentucky. The Park will serve as a convenient location for guests to purchase one-of-a-kind equine tours based on their specific interests. Visit Horse Country, founded in 2014, is a not-for-profit organization representing 39 members across Kentucky. Tours are available at stallion farms, nurseries, clinics, feed mills and aftercare organizations including the Maker's Mark Secretariat Center and Spy Coast Farm – both located on or near the Kentucky Horse Park. Guests visiting the Park can easily learn about the variety of tours and book their Horse Country experience from the ticketing kiosk located inside the Visitor Center. Horse Country recently launched a passport program allowing guests to collect stamps at various locations visited throughout Horse' Country's membership in the Bluegrass region. 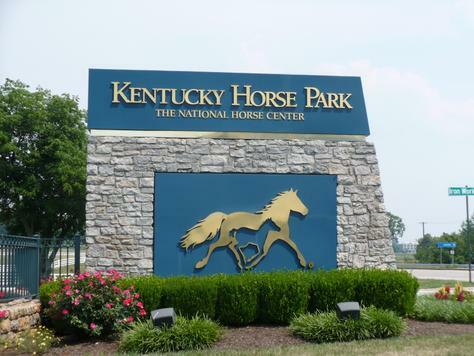 This entry was posted in The Biz and tagged horse country tours, kentucky horse park, kentucky thoroughbred farms, thoroughbreds by Press Release. Bookmark the permalink.